How do I find out how my child did on the test? Why do only students in grades 3-8 and 11 take the tests? How long does it take to complete the tests, and how often will students have to take them? Are English learners and students with physical or other disabilities given any additional supports? Will schools be able to use these tests to help students who don’t meet the standards? If my child didn’t meet the standard, what can I do? How will students’ performance on the test in the 11th grade affect their ability to graduate or gain access to state universities? Will test results be used to evaluate teachers? Will the results have any consequences for schools? Will schools whose students perform poorly get help to improve? Will scores increase after students and schools have experience with the tests? Can students opt out of the test? The California Department of Education released the second year results of standardized tests in math and English language arts/literacy on August 24, 2016. First administered in 2015 to students in grades 3 through 8 and grade 11, the tests were created though the Smarter Balanced Consortium based on the Common Core State Standards. Parents and the public can find both 2016 and 2015 scores at EdSource and the California Department of Education websites. Results are broken down by district and school, for each grade and by subgroups, such as English learners and low-income students. Here are answers to some frequently asked questions about the tests. School districts are supposed to send results to parents in the mail. The state’s contractor, Educational Testing Service, began sending individual, paper reports for each student to school districts earlier this summer. After districts received the scores, they have 20 days to send them to parents. So, parents started receiving results during the summer, but in some cases they may receive them in September. Parents who have not received scores in the mail should check in with their schools or districts to find out when they can expect them. Unlike the former pencil-and-paper tests, large sections of the Smarter Balanced tests are taken on a computer and are adaptive. Adaptive means that if a student answers a question correctly, the next question will be more difficult. If a student answers incorrectly, or doesn’t answer a question, the next question will be less difficult. While the previous California Standards Tests contained only multiple choice questions, some of the Smarter Balanced test questions require students to briefly explain their thinking about how they got their answers. Questions are intended to measure a student’s problem-solving and critical thinking skills. The Smarter Balanced tests also provide parents, students and teachers with information about where students are excelling and where they are having difficulties, so that the results can be used to help improve instruction. California is a leading member of the Smarter Balanced Consortium, which is now based at UCLA. 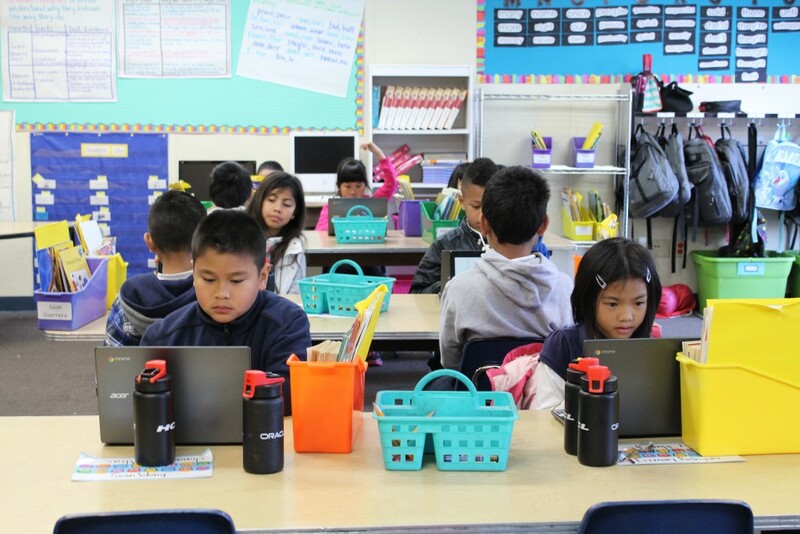 California has renamed its testing system CAASPP, which stands for the California Assessment of Student Performance and Progress. CAASPP includes the Smarter Balanced tests and the existing California Standards Tests in science for grades 5, 8 and 10. It also includes other tests for students in special education and those with cognitive disabilities. The federal No Child Left Behind law, or NCLB, required testing in those grades as one way to measure how students were progressing. The Every Student Succeeds Act, known as ESSA, continues that requirement. The California State University and most California community colleges are using the grade 11 test to replace the former Early Assessment Program (EAP) tests for determining how prepared students are for college-level work in math and English language arts. Overall scores fall into one of four achievement levels: standard not met, standard nearly met, standard met and standard exceeded. California has chosen these categories instead of more familiar terms, such as proficient and advanced, which other states have adopted, in part to discourage comparisons to earlier standardized tests. Standard not met means the student must improve substantially to demonstrate the skills and knowledge needed to succeed in future coursework. In grades 6-8 and 11, a score in this range indicates the student needs to improve substantially to be ready for college after graduation. Standard nearly met means the student is close to meeting the achievement standard and may need further development to demonstrate skills and knowledge required for future coursework. In grades 6-8 and 11, a score in this range indicates further development may be needed to succeed in entry-level college courses after graduation. Standard met means the student demonstrates skills and knowledge that are likely necessary to succeed in future coursework. In grades 6-8 and 11, this achievement level indicates that the student has demonstrated progress toward mastering skills and knowledge needed to be ready for college after graduation. Standard exceeded means the student has surpassed the achievement standard and demonstrates advanced progress toward mastering the skills and knowledge necessary to succeed in future coursework. In grades 6-8 and 11, this achievement level also indicates that a student has demonstrated advanced progress toward college readiness after graduation. The tests are not used to grade students. Students who do not answer a minimum number questions in each subject area of the tests receive the minimum scores possible. Students have as much time as they need to take each test, however Smarter Balanced has developed estimates for the time each test and component is expected to take by grade level. The consortium estimates that students in grades 3-5 could spend a total of 7 hours on both tests combined, while students in grades 6-8 could spend about 7½ hours, and 11th-graders could take about 8½ hours to complete the tests. Students are allowed to take breaks during the test. There is no limit on the number of pauses students may take during a test sitting. The tests are administered each spring during a 12-week window between March and June. It is up to each district to decide when during that window they administer the tests. Students in different grades and classes take the tests at different times. Are English learners and students with physical or other disabilities given any additional help to take the test? English learners who have been enrolled in a school in the United States for less than 12 months are exempt from the English language arts/literacy portion of the test. However, all English learners are required to take the math portion, which can be offered to students who need help in both English and Spanish. The tests provide translated test directions in Spanish and a translation glossary in a number of other languages. Students in special education can have access to other supports such as American Sign Language, Braille, closed captioning and read aloud. 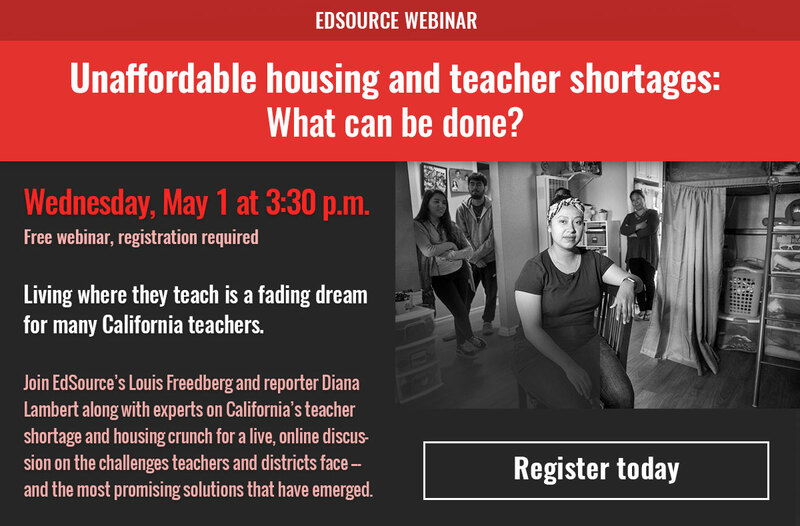 See the California Department of Education website for a list of accommodations. Students in special education who are unable to participate in the Smarter Balanced tests take the California Alternate Performance Assessment (CAPA). Will schools use these tests to help students who don’t meet the standards? The tests are expected to provide an analysis of which content areas students are having difficulty with. Because these tests are taken toward the end of the school year, the current teacher may use the tests for placement decisions or assignment to summer school if results are received in time. The results also provide teachers with insights into how they could improve their instruction in areas that require additional attention, according to scores. Students’ teachers the following school year can use test results to create instructional plans to target students’ academic needs and to determine whether they need additional tutoring or other support. However, educators emphasize that test scores alone do not determine how well an individual child is learning, or whether a child will be held back or promoted. The scores are be used in combination with classroom work and grades, teacher observations and other classroom tests. Smarter Balanced also offers interim tests that schools can use throughout the year to help teachers determine how well students are benefiting from their instruction. If my child’s score shows he or she didn’t “meet the standard” on the test, what can I do? Parents should talk with their child’s teacher about how well he or she thinks the test is assessing their child’s knowledge and abilities and what the teacher plans to do to help their child improve. Parents can discuss with the teacher what they can do to support their child’s learning at home. Parents can also check out the testscoreguide.org website and the GreatKids website, which have suggestions for how parents can support their children according to subject and grade level. Currently, test results do not affect a student’s ability to graduate. Beginning in 2015-16, California’s public colleges and universities used 11th-grade scores to determine whether students were ready for entry-level, credit-bearing courses, and whether they would be exempted from remedial classes. If juniors reach Level 4, the highest possible level, they are considered ready for college-level coursework. Level 3 indicates that students are conditionally ready, or on pace to become ready by the end of their senior year. The Smarter Balanced tests replace CSU’s Early Assessment Program (EAP) tests. No. Test results will not be used formally to evaluate teachers. However, Smarter Balanced scores provide teachers with information about how their students did. This can provide guidance to teachers on how they can improve their classroom practices. Some districts will use the test results as a basis for discussions with teachers about how they can improve instruction. Long-standing state law requires that standardized test scores be used in evaluating teachers, though the law doesn’t say how much weight test scores should be given, and many districts don’t factor them in at all. In the past, tests were used to rank every school in the state by assigning it a three-digit score known as the Academic Performance Index. The number was based almost entirely on standardized test scores. The state discontinued the API two years ago and the State Board of Education plans to adopt a dashboard of measurements, such as graduation rates, attendance rates and the percentage of students passing Advanced Placement exams, to judge schools. Smarter Balanced scores will be included, and the state board must decide how much weight to give them. Last year’s Smarter Balanced scores provide the baseline scores from which to measure growth. State funding to schools will not be affected by student test score results. However, intervention will be required in the lowest-performing schools, according to ESSA. The state has created an agency, the California Collaborative for Education Excellence, to advise and assist struggling districts in improving teaching and leadership. The emphasis is on working collaboratively with districts. However, the agency has a very small staff, and it is unclear how many schools it will be able to assist and how it will do so. State law allows for the both the Collaborative and the State Superintendent of Public Instruction to intervene in a school district that is defined as “persistently failing” over a period of several years. However, it is still to be determined how a school or district should apply for assistance, or what criteria will be used by the state to intervene if a “persistently failing” school district chooses not to voluntarily seek assistance. That is impossible to predict with any certainty, but scores should rise as teachers become more familiar with the Common Core standards and students become familiar with the more complex questions on the tests. For example, in 2003 when the previous California Standards Tests were introduced, 30 percent of 3rd-graders and 40 percent of 5th-graders scored proficient and above in English language arts. Ten years later, 45 percent of 3rd-graders and 60 percent of 5th-graders scored at a proficient level. There was a similar pattern in math. And in 2015-16, more districts administered interim Smarter Balanced tests during the year as well as practice tests, so many students became more familiar with the tests. Yes. California law allows parents to submit a written request to schools to excuse their children from state tests for any reason. Although there are no specific consequences for individual students who opt out, many educators say the tests help determine students’ academic strengths and weaknesses so that teachers can create unique instructional plans to help each student succeed. Those who support standardized testing also contend that by having as many students as possible participate in testing, schools will have a better sense of how their resources are working to improve student achievement, and whether they need additional programs and other services to target struggling students. Under ESSA, 95 percent of students at a school are required to take the tests. However, it is unclear what penalties schools or districts may face if they fail to meet this threshold. What is the responsibility of the school in regards to alternative curriculum if you opt your child out of testing? I don’t want my child to be sitting in the corner for a couple hours without any instruction? I can’t seem to find any guidelines. We need to go back to the old way of teaching. I understand that California wants the kids to think abstractly, but come on; Common core is confusing not only the students, but the parents. When these kids go to college, guess what? Math and English classes are taught the old-fashioned way. Who can we contact at California Department of Education if we feel the district mishandled SBAC protocol (adequate time window, appropriate setting, accommodations) for SBAC for a student with disabilities. The district has been very cavalier about administering the SBAC. I always opted out of testing for my four children in grammar school. And guess what, the sky did not fall down. They all went to college and are thriving adults. They did not need to be told that they were stupid by a racist standardized test and went on to be creative, critical and benevolent contributors to their world. In charter schools they will. Those who can’t teach, find something else to do. Parent, I suspect that statement has some truth to it, but can you say with authority that all charters use test result to evaluate teachers? I really have no idea if that is true because there is no source of information available to tell the public how every charter school evaluates its teaching staff. Because it’s totally the fault of this year’s art teacher that the student wasn’t taught to touch type yet? It’s kind of an important asterisk on this whole exercise. So the kid who loved testing and would run out to the mailbox with reckless abandon to see her results was turned into an emotional wreck. No prep for keyboarding, tests timing out, and just general stress. Thankful there’s only one more year of testing for her, and we’ll see in three years if she opts out. Definitely not worth the time. I am looking forward to her science results.